What comes to your mind when you hear the word "social media"? Either Facebook or Twitter. Isn't it? However, there are many other platforms out there. Choosing the right ones where you can connect with your target customers is the real key. Is your target audience using Twitter? Are they looking for a specific product on Facebook? Maybe they are looking a career opportunity in LinkedIn? Or are they pinning their favorite images on Pinterest? At NetJungle Media - Smo Company In India, we can offer customized social media optimization Services India which is specifically designed to keep track of all the posts/messages across different social media networks and depends on your challenges or objectives of your business. As with everything, one size won't always fit all and so our social media services focus on what matters the most for your business. How Our Social Media Marketing Team Can Help You? Our experts make sure you never choose a wrong campaign or don't become a victim of the social media disaster. We - Smo Service Provider In Delhi NCR, won't even take over your accounts because people want to speak to you and won't like to receive sales message from a marketing agency. Our experts will help you develop a social strategy based on your objectives and goals. We also have an in-house marketing team, who can offer the best guidance, or can also build your social media presence from scratch. We take the best approach for your business. 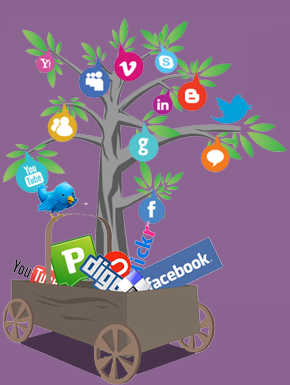 The way businesses use social media marketing platforms differs massively. Our team of experts chooses the right tone of voice and style for your business, ensuring that your brand gets the best exposure the way you have always wanted. Choose the right username & profiles across different mediums. Your brand is extremely important and so our social media team will always be there to turn potential customer problems into appreciation. We are a sociable bunch and most of our business comes from referrals & recommendations from friends or clients who know how we work. We don't prefer our salesman do all the talk for us and so we advice speaking directly to the clients to understand who we are and what we do. Our social media service is bespoke and based on your business objectives. Consult our Smo Services Company In India to find out how our social media marketing services can give a boost to your business. Our experts do a thorough research and produce authentic content to make you a reliable source. Implement strategies to engage your target audience. From likes to shares, comments; we ensure a good user-friendly experience. Set the Google Authorship account to show your profile in the top search results. Do high quality research and produce original content. We also share thoughtful insights to add value to your audience. Build top quality networks, look for the top experts, read what they are saying, engage them in a conversation and share as much as want. Choose the right platforms and communities where your target audience can hang out. From sharing buttons to social icons, subscription options, shareable content, our experts do everything to promote your content.